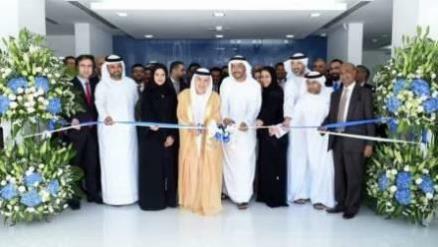 Abu Dhabi - Finance House, which is listed on Abu Dhabi Securities Exchange, announced the opening of its new branch in Mussafah industrial area, Abu Dhabi. The opening ceremony was held under the patronage of Khalil Mohammed Sharif Foulathi, member of the Board of Directors of Abu Dhabi Investment Authority, and in the presence of Mohammed Abdulla Alqubaisi, Chairman of Finance House, Alia Abdulla Al Mazrouei, member of the Board of Directors at Finance House and Fatima Obaid Al Jaber, member of the Board of Directors at Al Jaber Group. Strategically located in Mussafah, one of the busiest areas in Abu Dhabi, the branch is set to cater to corporates, as well as individuals, by offering a wide range of corporate, commercial and personal financial solutions. Mohammed Abdulla Alqubaisi, Chairman of Finance House, said: "The new branch? ?is in line with our set expansion strategy, it will enable our customers to access our best-in-class products and services more conveniently, further strengthening our position as a leading financial institution." This is Finance House's fifth branch in the UAE, in addition to its? ?headquarters in Abu Dhabi, and branches in Dubai, Sharjah and Al Ain.? ?Finance House delivers a wide range of innovative, customized and need-based financial solutions to individuals and corporates in the UAE.? ?